If different than alkaline cleaners, how do ESS neutral cleaners clean a surface? Alkaline cleaners typically clean oils by reacting with them via saponification and/or strong emulsification. This chemical reaction is effective at cleaning, but usually not easily reversible. Once the alkaline cleaner grabs onto the oil, the oil is not recoverable and the soap concentration available for cleaning depletes quickly (because it ties up the oil). ESS neutral cleaners do not really permanently chemically react with the oils, but instead, through the powerful wetting action of the surfactants that is triggered by agitation, get underneath the oils causing them to release from the surface. Triggered by agitation (i.e. spraying, re-circulation, etc. ), the surfactants in the ESS neutral cleaner form a “cage” (also called a micelle) around the oils preventing them from re-depositing on the part. The interaction between the neutral cleaner ingredients and the soils is temporary and mostly dependent on agitation. When the agitation stops, the oils are released automatically by the surfactants and can be easily skimmed and recovered. Once the oils are released and removed from solution, the ingredients in the ESS neutral cleaner are available for cleaning again. The net effect is the same oil-free surface as an alkaline with the potential for longer bathlife and lower cleaning costs. In order to keep from etching the surface of soft metals, alkaline cleaners usually contain silicates that leaves a micro-thin layer on the metal surface to protect it from etching. Since neutral cleaners have a neutral pH and cannot chemically etch soft metals, no silicates are needed (leaving cleaner parts with less chance for residue). Without the chance for silicates or other alkaline residues typical of alkaline cleaners, ESS neutrals do not leave a white film or white rust on parts. The net result is a part surface that has less residue left behind – which is definitely preferred for applications requiring coating, plating, adhesion, etc. The pH scale goes from 0 – 14, with 7 being considered neutral. 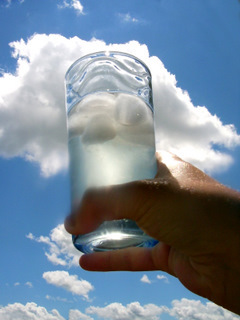 From 0 up to 7 would be considered acidic and from just above 7 – 14 would be considered alkaline. Technically, the pH is the inverse log of the hydrogen ion concentration. From a practical standpoint, products are considered to be more acid or alkaline the further away from 7 the pH gets. The more acidic or alkaline a product is also can help to determine how reactive it is to skin, eyes and surfaces.